The CCP 5 ‘long-life’ core-plus fund, advised by pan-European investment manager Tristan Capital Partners, has acquired together with Finch Properties, the Accent Office Center, a Grade A building in the Ostend district of Frankfurt, from GLL for €81 million. The Accent Office Centre (AOC) is a 25,308 sqm landmark building completed in 2004 by regional developers Harpen & Wegner to high institutional standards. The building comprises ca. 22,000 sqm of office space over six floors, with ca. 3,700 sqm of retail space and 415 parking spaces. The complex is multi-let to a diversified, occupationally resilient, tenant base from sectors including enterprise technology, business services and media. The Accent Office Centre is located on a prime stretch of Hanauer Landstrasse in Ostend, a rapidly developing micro-location in the city undergoing regeneration, led by the completion of the European Central Bank headquarters and numerous mixed-use developments. 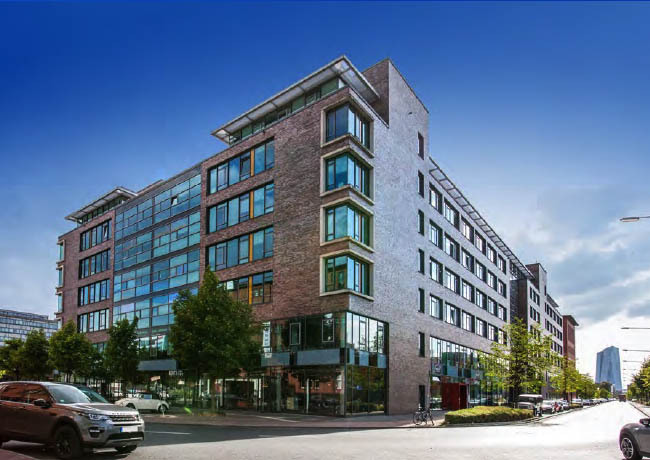 Finch Properties is also an operating partner for, and co-investor in, a 40,000 sqm office complex in Sternengasse in Cologne acquired in April 2018 on behalf of Tristan’s value-add/opportunities strategy EPISO 4 (European Property Investors Special Opportunities 4). Tristan and Finch were advised by CMS Hasche Sigle, acht+ and Colliers. GLL was advised by Clifford Chance and Cushman & Wakefield.